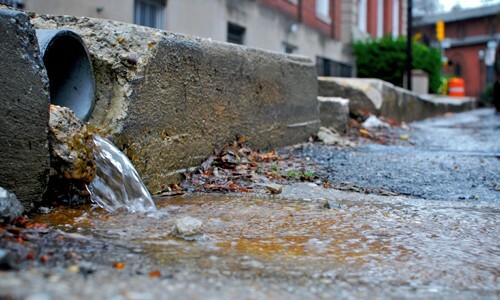 Unlike the usual household water waste that enters sewers that undergo treatment before it is discharged into the environment, the water that runs off from your car sweep down your driveway and goes straight into storm water drains, which eventually lead to rivers, waterways and creeks. This water is a nasty combination of gasoline, oil and residues from exhaust fumes, as well as the harsh detergent being used for the washing itself – so it can severely damage the wildlife and wreak other eco-system havoc when it runs down your drain. So, what are the alternative options to washing your car at home? 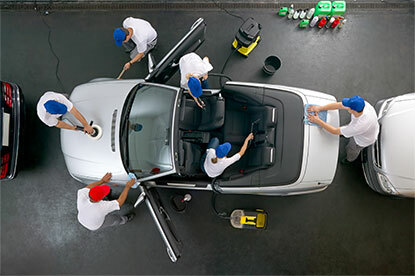 One option is using one of the waterless formulas that are available, which are especially handy for spot cleaning and are applied via spray bottle and then wiped off with a cloth, but to give your car a good, thorough wash that leave sit sparkling clean – the best option is to go to a commercial car wash.
At LuxeWash, we are have a Trade Waste Agreement, this means we have an approved way of treating and disposing of waste, to protect Australia’s precious rivers, lakes and coastline. This includes oil separation, solid sludge collection and disposal, and the remaining wastewater directed into the sewer system for the correct regulated cleaning processes. Luxe Car wash use special high-pressure hoses with jets, this means that not a drop of water is wasted, but your car is still given a pristine clean. Approximately 750ml of slimy sludge- which includes grease, oil, detergents and heavy metals such as lead and zinc will run off your car in a single car wash. If you were washing your car at home, as said before – this would run into the waterways. Although part of the Trade Waste Agreement means that commercial car washes need to ensure that this is disposed of this sludge responsibly. This slimy sludge is then collected and disposed of into sedimentation pits and then discharged to the sewer, after it is treated and cleaned under high Environmental Protection Authority (EPA) standards. The water run off at commercial car washes, by law is discharged into sewers, after which it is treated and cleaned under high EPA standards. This means that the dirty, oily, detergent water that runs off your car as it gets cleaned doesn’t run into the waters, hurting animals and the ecosystem. Instead it goes into sewers, where it is responsibly cleaned and stored. 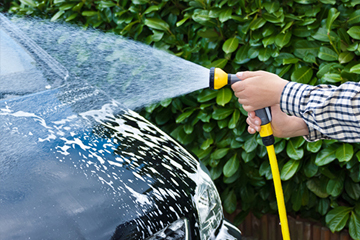 For a wash that leaves your car squeaky clean and looking its shiny best, while being kind to the environment, make a trip to Luxe Wash at Redbank Plains.